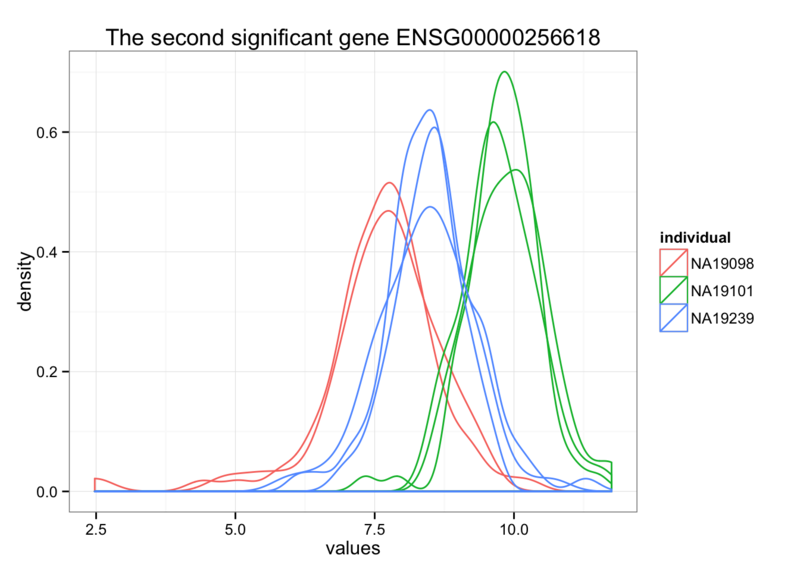 In this document, we wil perform per gene differential analysis of coefficients of variations using only coefficients of variation from ENSG genes and also from QC-approved batches (no NA19098.r2). 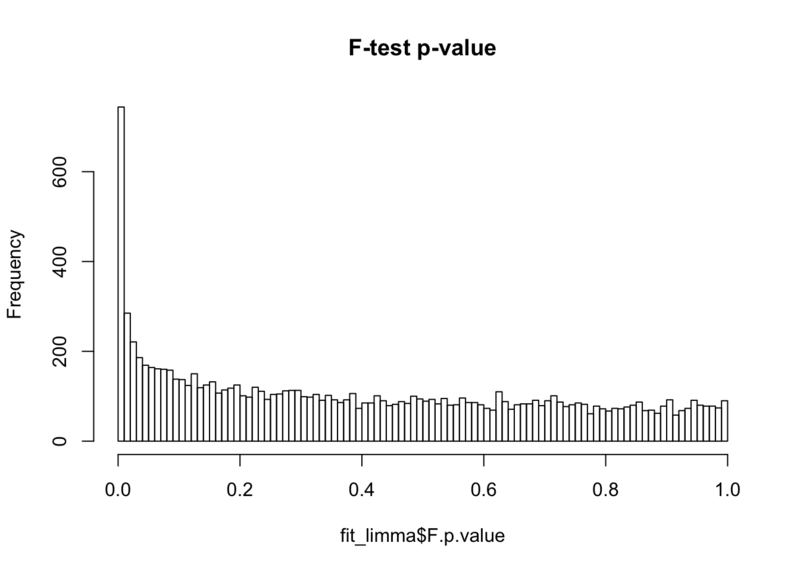 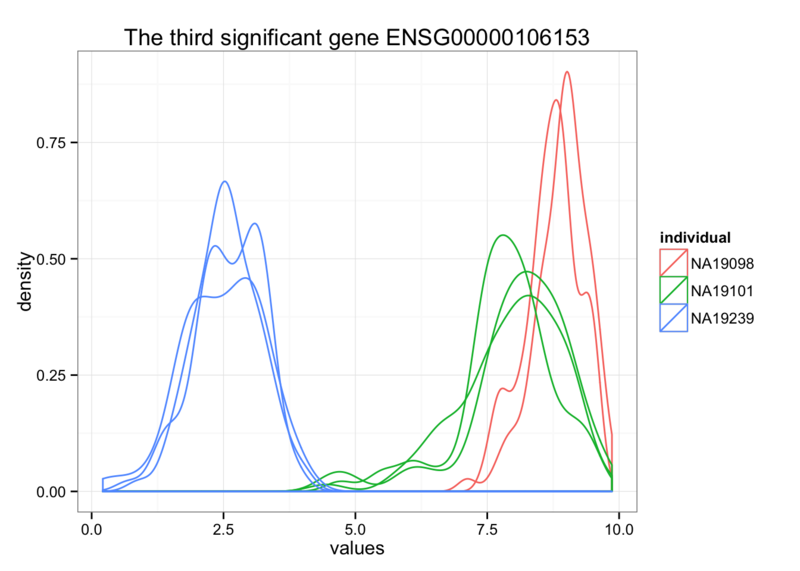 We use the lmFit function in the limma package to fit linear models comparing coefficients of variations between individuals for all genes. 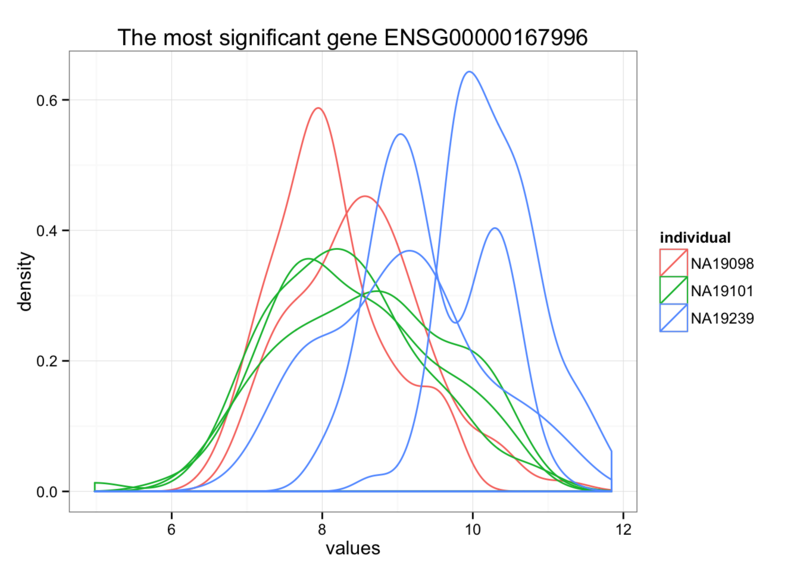 lmFit provides a fast algorithm for least-square estimation, when design matrix is the same for all genes. 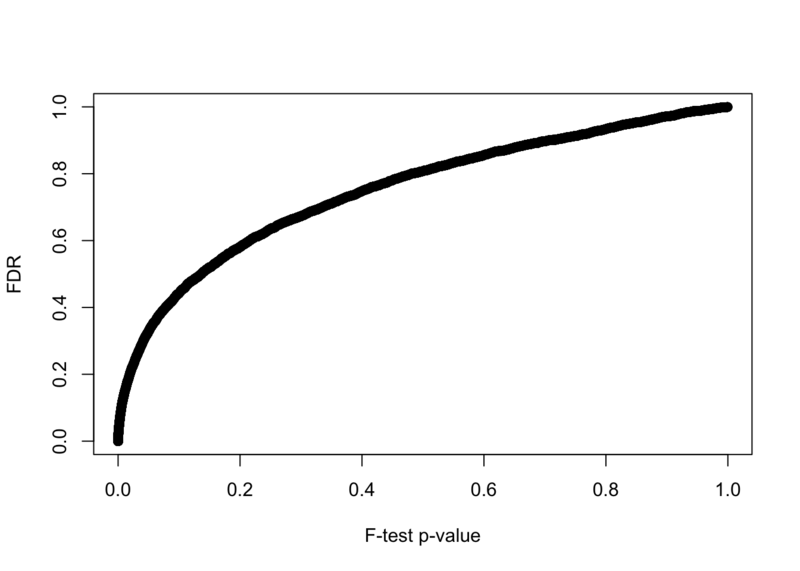 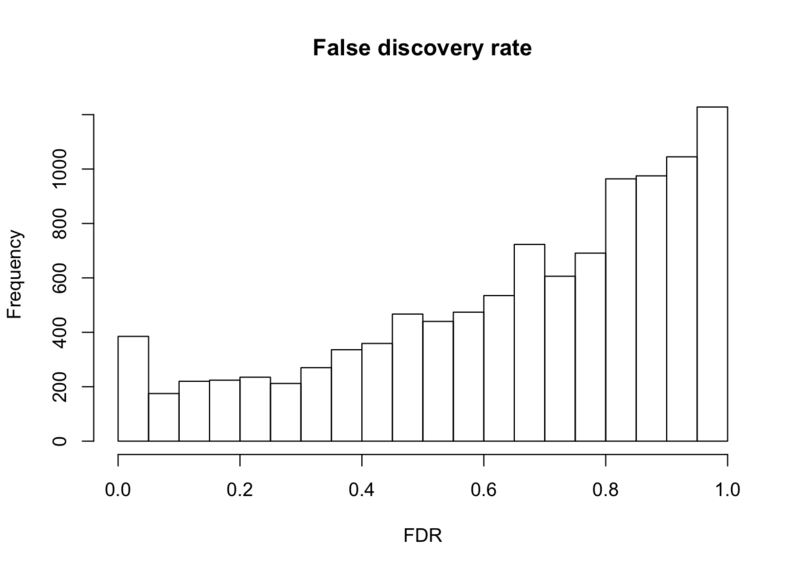 P-value before versus after false discovery adjustment. 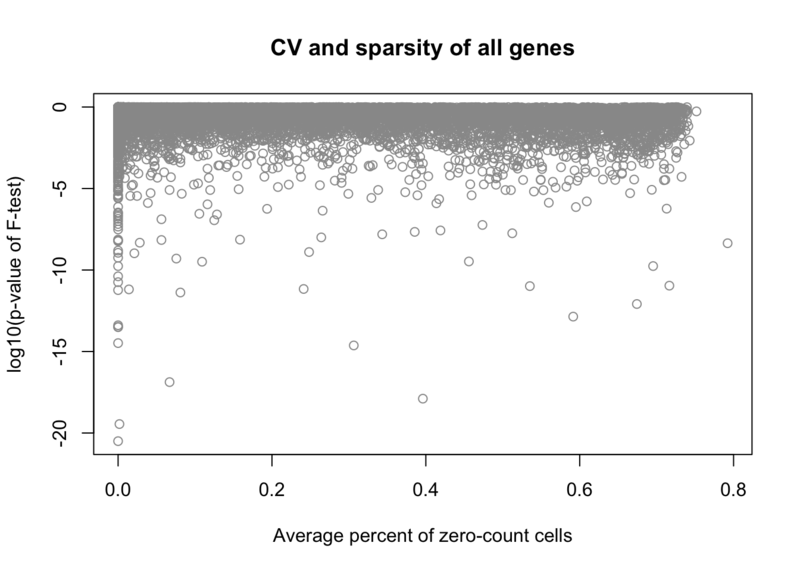 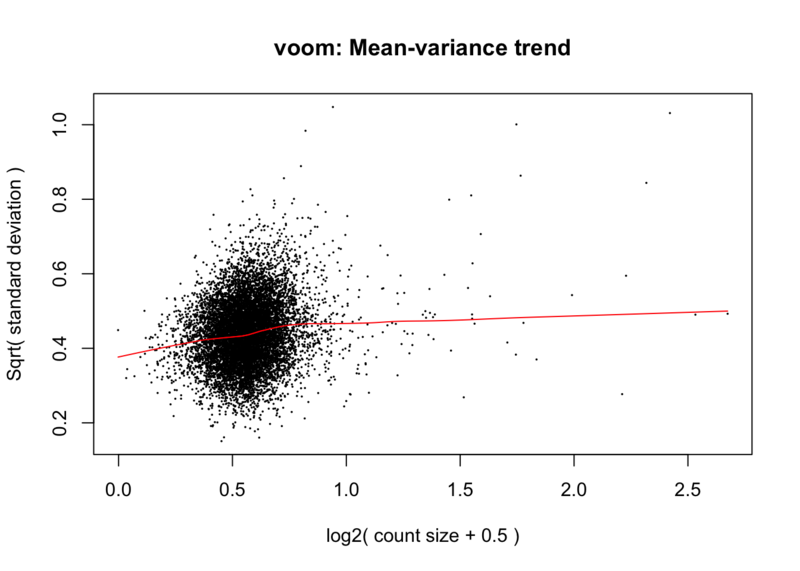 Correlation between mean sparsity rate and p-value.